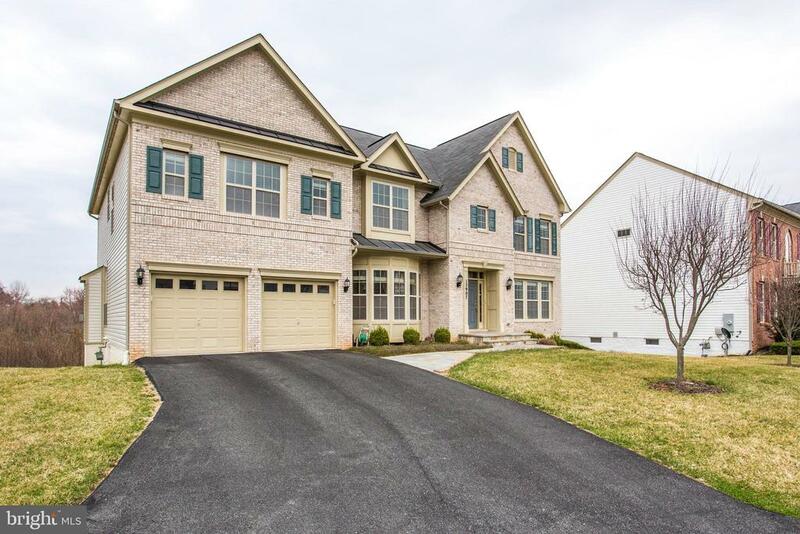 All Boyds homes currently listed for sale in Boyds as of 04/23/2019 are shown below. You can change the search criteria at any time by pressing the 'Change Search' button below. If you have any questions or you would like more information about any Boyds homes for sale or other Boyds real estate, please contact us and one of our knowledgeable Boyds REALTORS® would be pleased to assist you. "For Sale is Cherry Glen Goat Cheese Co. a large scale Goat Cheese producing business. It is being sold as such. 600+ milking goat herd and all equipment needed to milk , pasteurize and produce just under $1M + of Award winning Goat Cheeses to the restaurant industry. Plus a solar array that supplies all the needs of the business and residents and sells and extra $150K back to the grid .THIS PROPERTY WILL BE SHOWN TO QUALIFIED BUYERS BY APPOINTMENT ONLY. Call 1st Lister for appointment. Please also check out MDMC489054 AGENTS PLEASE NO DRIVE BYS"
"This outstanding 50-acre equestrian estate is surrounded by 3,000 acres of protected conversation area and has served as an important local and national landmark throughout the years. A semicircular treelined driveway with beautifully crafted stone bridges over a creek serves as the gracious main entrance. Built in 1792, the original homestead was expanded in the early 1800~s. Today~selegant 10,000 square foot Georgian-style manor home was designed by acclaimed Virginia architect Milton Grigg, and was constructed out of rose colored sandstone in 1938. The dramatic interior has been exquisitely renovated to include formal and informal living spaces ideal for largescale entertaining as well as comfortable family living. A dramatic two-story foyer leads to agorgeous dining room, lovely living room, great room, gourmet kitchen, informal dining/morning room and wine room. Most rooms feature exterior French door entry to the exquisite and expansive outdoor terraces and patios that take full advantage of the breathtaking scenic vistas found from every exposure throughout the home. Customized architectural and design details abound andinclude volume ceilings, elaborate crown moulding and millwork, ornamental wall treatments, exotic wood flooring, nine masonry fireplaces, and multiple sets of exterior French doors with transoms. The two upper levels boast an array of bedrooms and guest quarters and an outstanding master bedroom suite complete with his and her dressing rooms and luxury baths. In addition to the multiple bedrooms is a private office with exquisite bay window views that is a haven for contemplation and serenity. 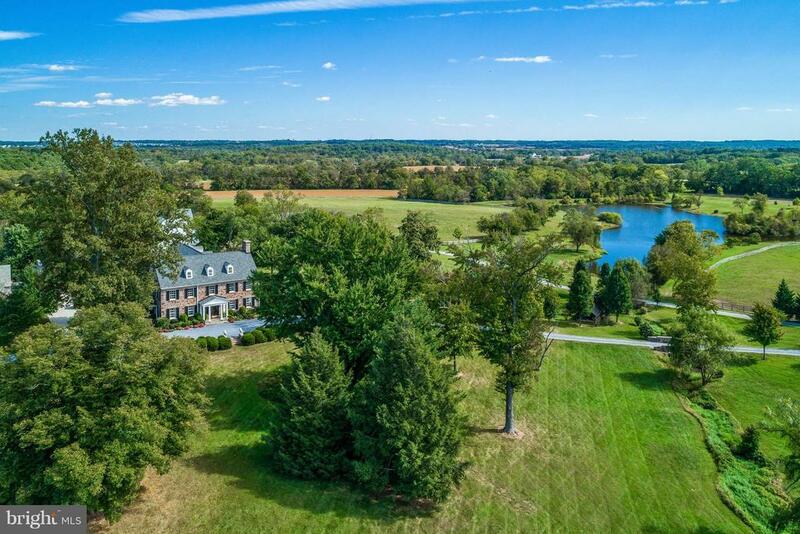 As one would expect from such a spectacular equestrian estate there are multiple out buildings including an historic 4- gabled barn, professional 16-stall stable, guest home and private office, as well as farm manager housing. The aesthetic of this incredible piece ofproperty is preserved with timeless beauty and is unmatched in its presentation. Furth"
"Serene, Private Estate Home with over 5300 square feet of exquisitely finished living space. This home is designed for the homeowners who want it all! From being able to host large gatherings of family and friends in the stunning Formal Living and Dining Rooms to creating epicurean delights in the Kitchen designed for the Discerning Chef, you can have it all! Relax in the large, sun filled Family Room which is enhanced by the stunning stone faced gas fireplace and opens to the kitchen, or sit in the Solarium with its 180 degrees of floor to ceiling windows and look across parkland or, yet another option, enjoy the large sunroom and overlooking an entertainers dream backyard. There is a large raised deck, gorgeous in ground pool and beautiful, naturalized landscaping. These spaces are designed to accommodate all your needs!! !On the second floor are three large guestrooms, with en-suite baths and large walk in closets. In addition is the Master Bedroom which must have been modeled after a presidential suite at an ultra-luxe hotel! The Master sitting area is large, yet serene and intimate! The Master bath with the dual vanities, large soaking tub and separate shower feels like a spa and the two extra-large walk in closets will accommodate EVERYTHING! The third floor has the play room or au pair or in-law suite which boasts a gorgeous bedroom, bath and living area! The living area has storage, wonderful natural light and a wet bar! This home also offers an unfinished WALK OUT basement with over 3000 sq. ft. and is plumbed in for a bath! Freshly painted, new kitchen counter tops and kitchen flooring this is truly a move in ready home! 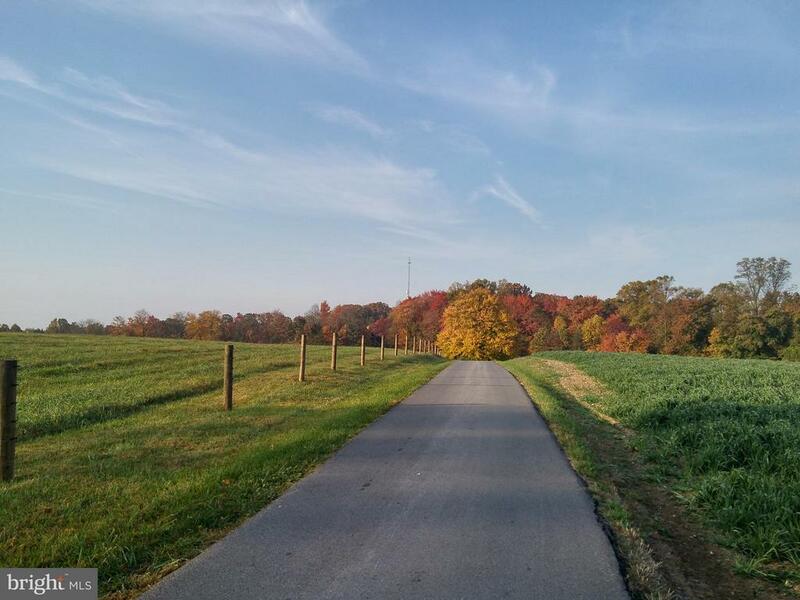 Adjacent .38 acre buildable and separately deeded Lot is included in list price." "Exquisite custom designed colonial beautifully site on 1.6 acres in a convenient yet country location. This over 7,000 sq. ft. home is beautifully maintained and loved. Spacious first floor master bedroom suite plus a first level guest room suite with private entrance. Three finished levels with the added attraction of a private library with custom built-ins. Current owners converted attached garage area into a two level office with endless possiblilites - home office, in-law suite, nanny suite. Separate two car garage was added. Plus a barn/storage area. Incredible outdoor entertaining area with in-ground pool. Extensive hardscape, landscaping with ponds. Backs to adjacent conservation area. A home for multi-generaltional living. 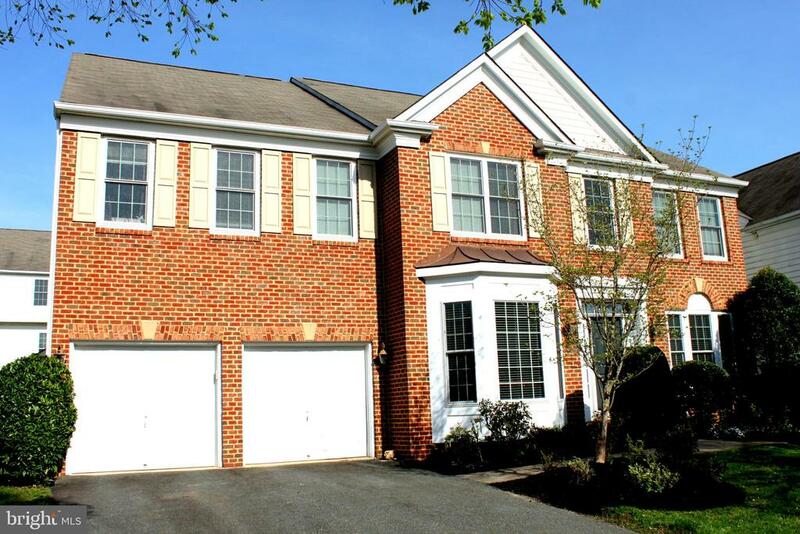 Minutes to the MARC Train Station, Clarksburg Outlets, Black Hills Park and shopping. Truly a private oasis!!" "Just pack your bags and come in this move-in ready home. Best cul-de-sac location and backs to woods - full privacy. Finished basement with walk out and lots of windows. Largest home in the community with more than 6200 finished square feet of living space." 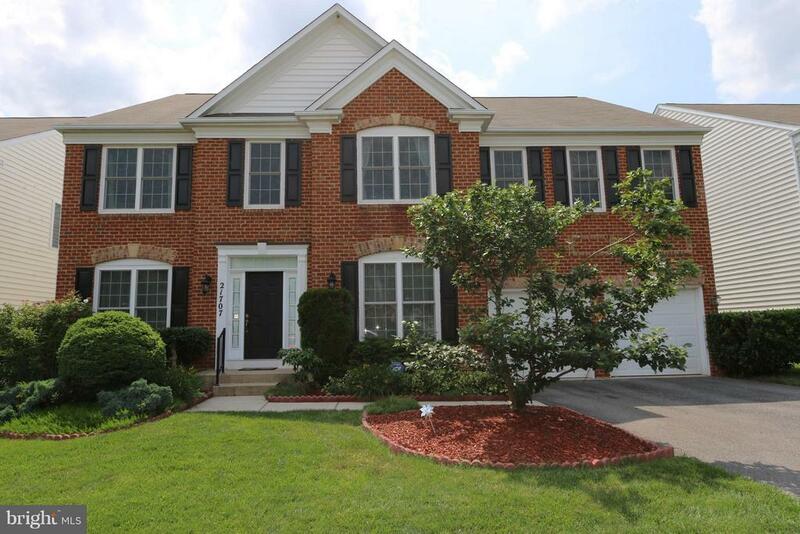 "Stunning Large Toll Brothers Model w/many upgrades on quiet dead end street. 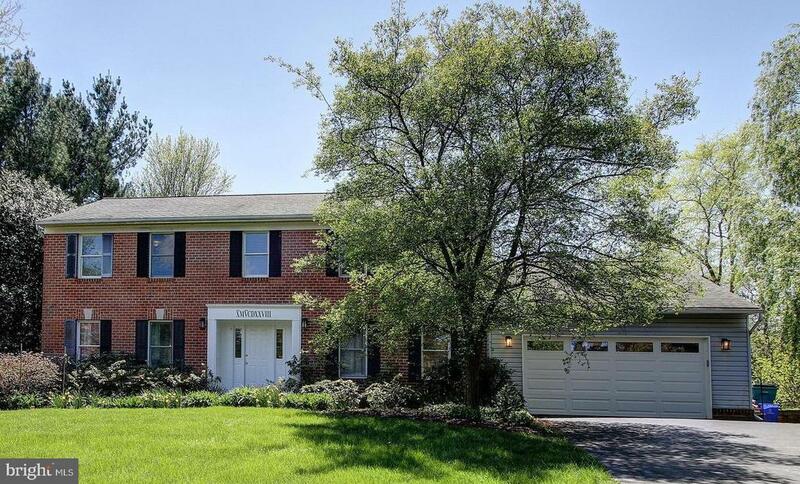 Fantastic Walkout Basement Features Media room, Huge Master Sized Bedroom, Bath w/Luxury Love Tub w/jets, RecRoom... 1st Floor has new high end Kitchen app. Maple Cabinets, Granite and Stainless. 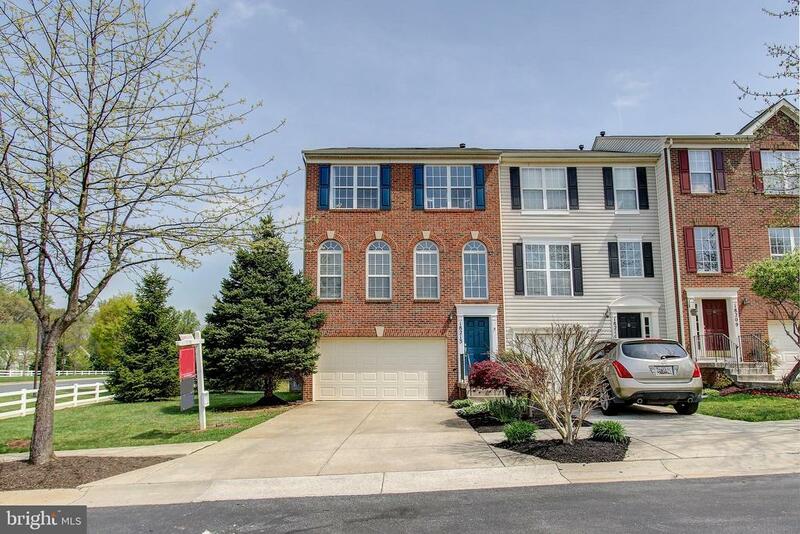 All Hardwood floors on All levels* Custom Inlaid Hardwood Flooring on 1st Level* Gas fireplace, Two story Family Room and Foyer* 2 zone gas furnaces* Hurry!" "Stunning Home!! Professionally updated from top to bottom. Gorgeous custom designed kitchen with cherry cabinets, five burner stove and stainless steel appliances. Kitchen is open to great room with fireplace. Flat screen TV conveys. Beautiful custom designed upper level bathrooms with granite counters and cherry cabinets. Brazilian cherry hardwood flooring on the main level and cherry wood staircase. Bump out on front music room. Almost new 35 year Architectural shingle roof and new wider gutters. Professionally landscaped with sprinkler system and night uplighting. Updated HVAC system. All windows have been replaced with UV filter new windows. Finished walk out basement with professional office and a full bath. Large Brazilian Ipe deck backing to conservation area with beautiful trees for gorgeous views and privacy. Plantation shutters on the upper level and customized window treatments on the main level, including motorized blind on the foyer palladian window!! California closet systems in several closets and mudroom. Close to Soccerplex, transportation and shopping. Seller has paid the front foot benefit charge in full. Lovingly cared for and updated by meticulous owners this home will make a wonderful home and investment for it's new owner." "Stunning Toll Brothers Columbia Heritage model. Premium lot w/builder upgrades. Very well maintained by original owners.~ Double floor foyer & family room with gas fireplace. Spacious layout w/dual staircases leading to upper level.~ Gourmet kitchen & gleaming hardwood flooring throughout the main level. Lower level media room.~ High basement ceilings (extra feature) Great location - close to schools, I-270 &~ public transportation." 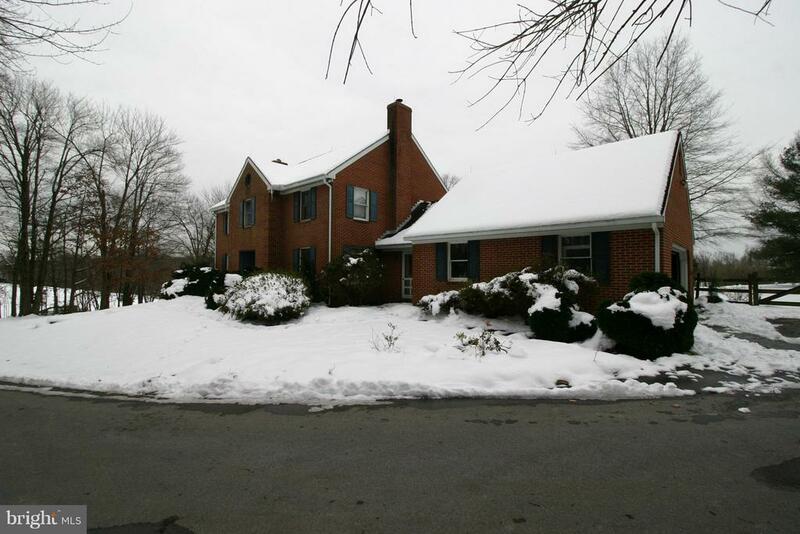 "**Gorgeous 4 Bedroom 3 full bathes, Brick Colonial in sought after Kings Crossing! 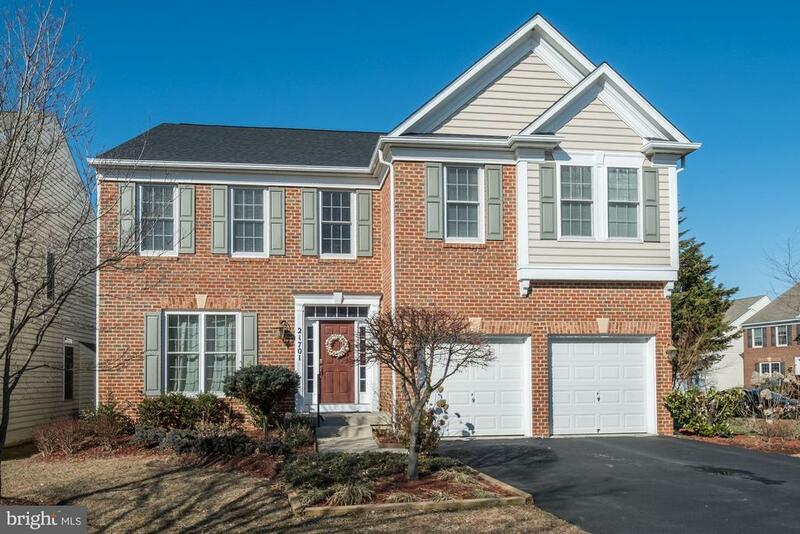 Quiet Cul-de-sac with large private yard, Open floor plan with spacious family room and Marble fireplace . Wood floors throughout main level, stairs and upstairs halfway Main floor office. laundry room and half bath. New upgraded carpet in all the bedrooms. New roof, washer, safe in the walking closet stays." 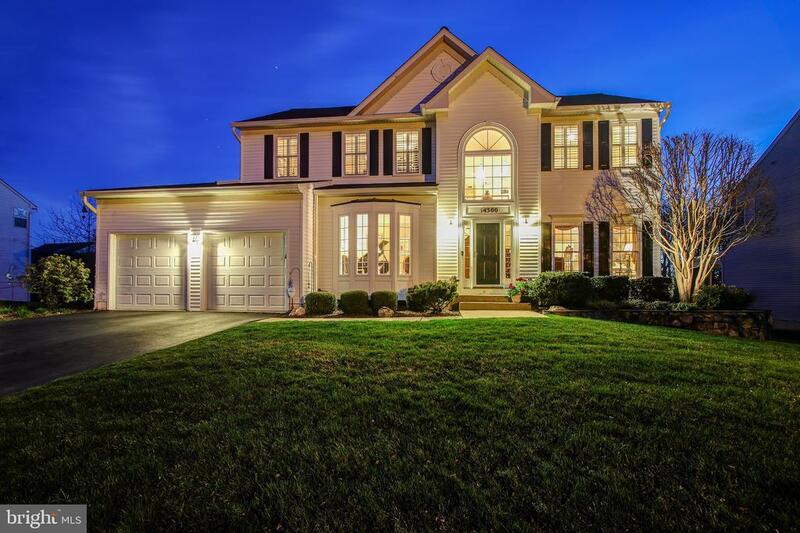 "Fabulous Toll Bros. colonial sited in a Premium lot that backs to woods with an amazing view. Two-story entry foyer w/ceramic tiles and family room w/custom ceiling moldings and gas fireplace. Gourmet kitchen with SS appliances, large center island with gas cook-top and breakfast room that opens to a phenomenal deck, perfect for entertaining. House is filled with light, five spacious bedrooms. Master suite with an incredibly large walk in closet. Two extra spacious ensuite BR, one located in the main level. Fully finished basement with wet bar and sound proof media room." "There's so much to love about this beautifully-built custom home! You'll appreciate all the details: oak hardwood flooring on the main and upper levels; wide baseboard trim; composite front porch; low maintenance exterior. The living space has a generous open floor plan, allowing plenty of space for large gatherings. The well-appointed kitchen with custom solid maple cabinets (featuring pull-out drawers), plenty of counter space and spacious walk-in pantry allow for multiple cooks in the kitchen. You~ll love the sunny breakfast room which overlooks the rear yard. The deck, spanning the entire length of the house, offers views of the spectacular sunsets. Allowing for truly one-level living, the master bedroom, bath and amazing walk in closet are joined by 2 additional bedrooms on the main level. You'll love having a mud room/laundry room on the main level, also accessible from the oversized garage. The main level also offers a formal dining room and living/music room. The upper level is home to a loft/office/game area and the 4th bedroom, with an ensuite bath. The walkout lower level includes a rec room and half bath (with shower rough-in). There's more space for you to finish to your liking, as well as a large workshop/storage space. Integrated into the house under the deck, you'll find an impressive shed. 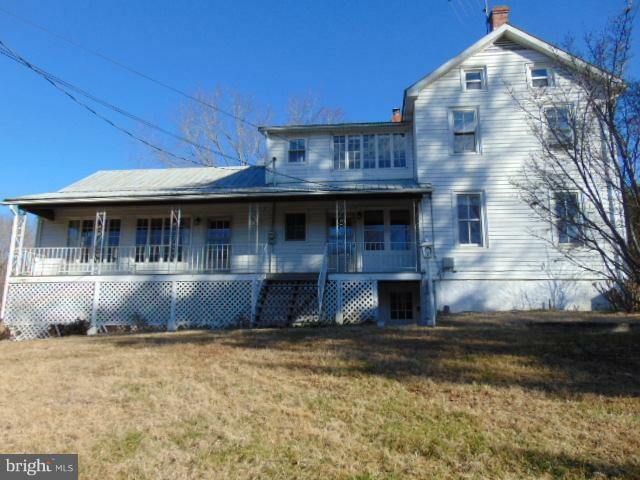 On 2 acres, just minutes from Rt 270, Little Seneca Lake and Boat Launch and Black Hill Regional Park, you~ll feel like you~re out in the country, but are just minutes from shopping, commuting, and recreation. No HOA!" "Over 5,000 finished square feet in this welcoming ready to move in two- story on a lot backing to trees. Very large family room adjacent to upgraded kitchen with gas cooktop in center island. Spacious master suite with built-ins and step up seating area plus large bath and generous walk-in closet. Two more upstairs full baths plus jack/jill bedrooms. Open living/dining rooms and spacious 1st floor office. Finished basement includes rec room with granite bar plus separate exercise room and full bath. Large county park two minutes away. Ten minute drive to new shopping outlets and just minutes to other shopping including Wegmans. 5 Minutes to Rt. 270." "Price adjustment on 4/19--down $10,000. Over 5,000 finished square feet in this welcoming ready to move in two- story on a lot backing to trees. Very large family room adjacent to upgraded kitchen with gas cooktop in center island. Spacious master suite with built-ins and step up seating area plus large bath and generous walk-in closet. Two more upstairs full baths plus jack/jill bedrooms. Open living/dining rooms and spacious 1st floor office. Finished basement includes rec room with granite bar plus separate exercise room and full bath. Large county park two minutes away. 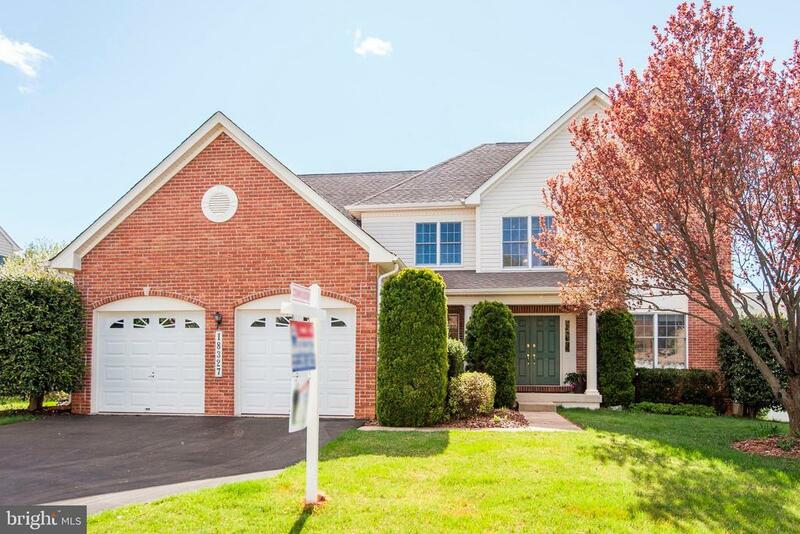 Ten minute drive to new shopping outlets and just minutes to other shopping including Wegmans. 5 Minutes to Rt. 270." 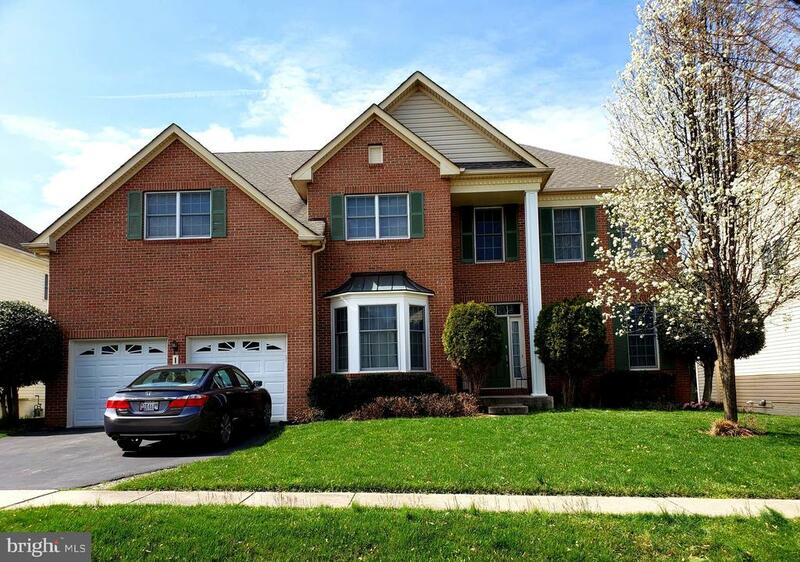 "Welcome home to this beautiful 4 bedroom, 3 1/2 bath brick front colonial in sought after Hoyles Mill Woodcliffe Park. Upon entering you will realize how well this home has been cared for. Main level offers a spacious living room with bay window, crown and chair rail molding. Adjoining dining room also includes custom moldings and large picture window. Gourmet kitchen features granite counters, stainless steel appliances and morning room. Family room off the kitchen with gas fireplace. Main level office. Upper level features an owner's suite with sitting room and two walk in closets. Owner's ensuite includes two vanities, separate shower and tub. Three additional spacious bedrooms and hall bathroom. Finished walk-up recreation room with full bath. 3 storage areas. Beautiful fenced yard with composite deck. Two car garage. Hurry and make this home your own." "Luxury largest Monterey model home that your client will fall in love with. You will see the two level high ceiling foyer when you enter the house. To your right, there are the bright and spacious living room and dining room with windows open for plenty sunlight. To your left, it's the first floor library with big bay window to get the home office well lit throughout the day. Gourmet kitchen with premium volga blue granite countertop, stainless steel appliances and upscale maple cabinets open to high ceiling spacious family room. Large kitchen island is perfect to entertain large parties. Sun-filled sun room over looking the nice view of backyard and deck. With the additional sun room, this home has the biggest square footage in both levels and makes a huge basement. Spacious family room with stone front fireplace and plenty windows on both sides for lights shining in. First floor powder room. Second floor has 4 bedrooms and 3 full baths. Owner~s suite include a spacious sun-filled bedroom, a sitting area with build-in book shelf, an upscale spa style jacuzzi jetted bath with a two-way gas fireplace. Separate shower with sitting area, walk in closet. Second bedroom suite has a private full bath. The third and fourth bedrooms has a Jack-and-Jill bath room so each bedroom has its own private access to full bath. Second floor laundry with build in shelf. Plenty nice touches in this house, from the crown molding atop the 2-story foyer and dining and living area, to warm, rich hardwood floors. 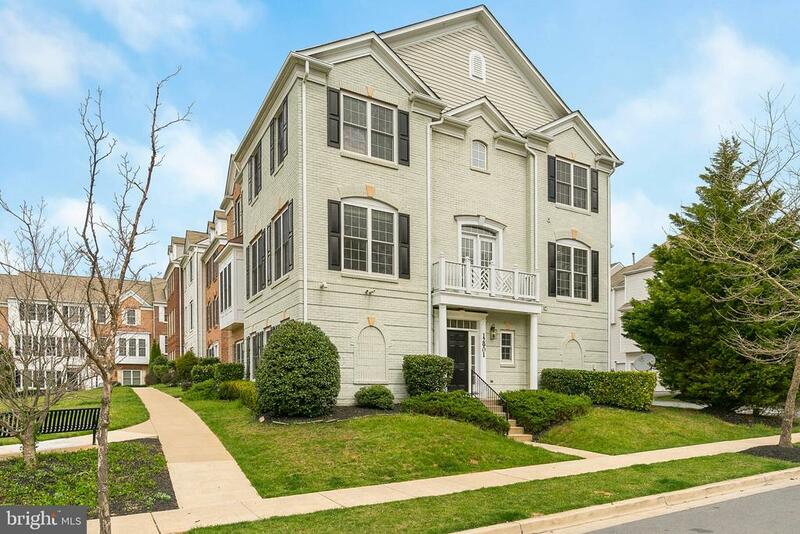 All of this in a neighborhood close to everything - from Wegman's, Harris Teeter to Black Hill Regional Park to I270. It won't last! 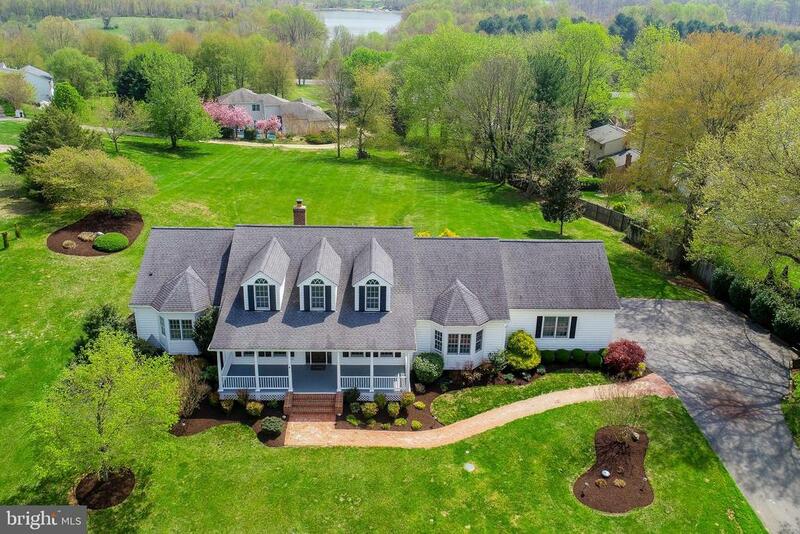 Open on Sunday 4/28 1-4pm, honor all!" 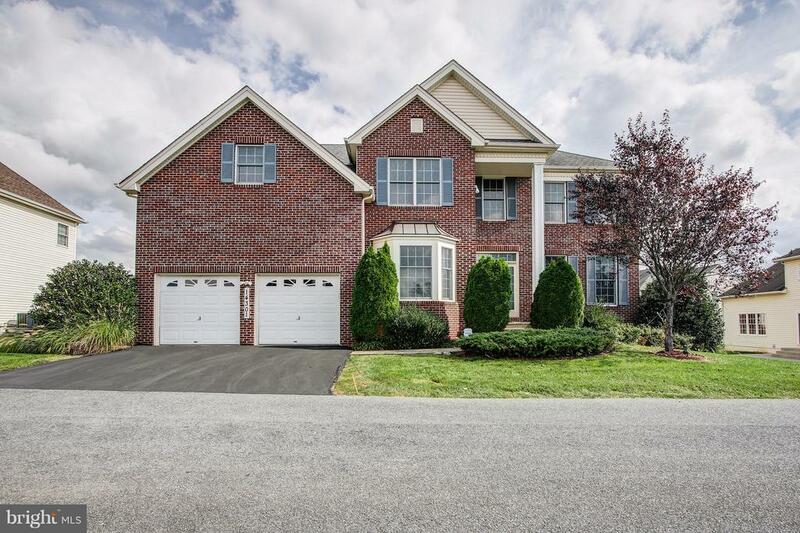 "Absolutely gorgeous brick front central hall colonial, 4 BR 3.5 BA, almost 4000 sq ft upper 2 lvls. Open floor plan, 2-story foyer, 2-story family room w/ gas FP. Spacious kitchen w/ breakfast area, SS appliances, granite counter top. Main level office. Hardwood floor throughout. Large deck, flat back yard. Walk up basement, space for rooms. Easy access to Rt 355 & I-270. Close to shopping & park." "Priced to Sell! 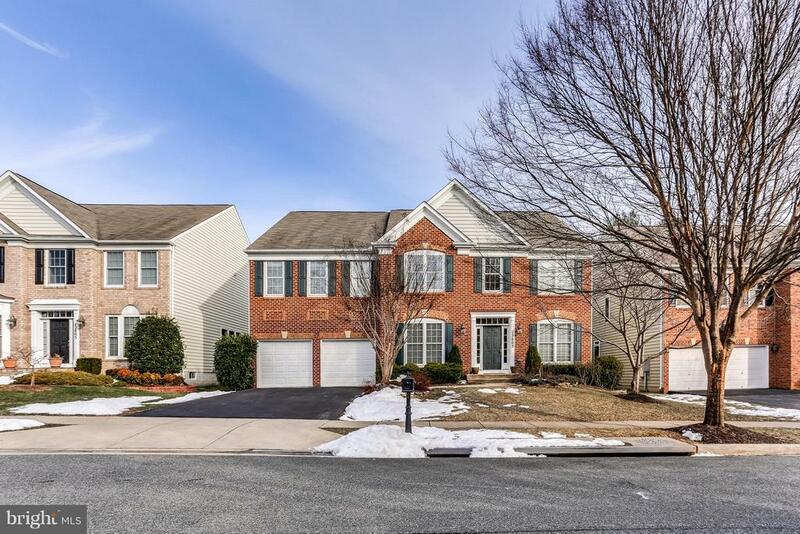 over 4,500 finished sq ft a corner brick front single family home setting in a serene neighborhood and pristine panoramic scenery on the horizon in just few steps away in Boyds. Four spacious bedrooms with 4 full & one half baths on main level, gleaming hardwood floor and carpet throughout main level, gourmet kitchen with expansive island and bump out on ceramic tile. Butlers pantry just off the kitchen. Huge master suite with tray ceiling & sumptuous master bath. Main hardwood floor leading to wood stairs into the huge and luxury bamboo wood floor throughout basement for multi- purposes. New roof in 2019, easy access to Metro bus, Marc train and MD Rte 355 and I-270 for commuter and many choices for shopping and dining, entertaining nearby and outdoor activities in Black Hill Regional Park for canoeing, fishing, jogging, hiking and picnicking in few minutes. Please be noted elderly people is in den/library on main level." 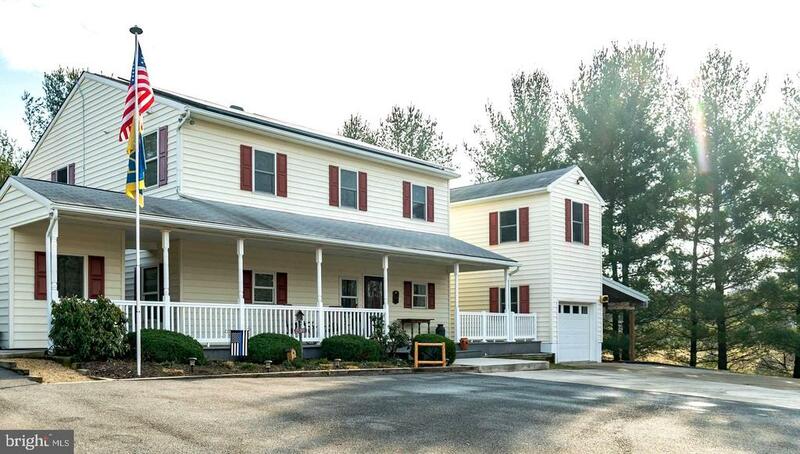 "LARGE, spacious and grand 4 BR 2.5 BA colonial on a GORGEOUS 1.2 acres in Boyds. GLEAMING hardwood floors, UPDATED kitchen, freshly painted. Newer roof and many newer windows. Kitchen opens to a wonderful family room with wood burning fireplace. Quiet, serene and beautiful, yet oh so close to major travel routes, shopping, etc. Direct access to Black Hill Park via bridle trails." "**Charming home on an awesome lot!! ** Many special features include gleaming hardwood floors, freshly painted interior, great room with cozy wood stove. Additionally, this home has a relaxing front porch, Trex deck, and patio with fire pit. There is finished living space over top of the garage with electricity, but no heating cooling or water. An individual heating and cooling unit will be easy to add. This space would be perfect as an office space, workout room, arts and crafts room etc. Must have strong mortgage pre-approval letter and GCAAR Financial Information sheet with contracts." "first look period applies, Cash offers require 10% EMD, Title to the property will be conveyed to the new owner(s) by a Special Warranty Deed, 1.3 MILES TO 270, 4 ACRES OF ROLLING HILLS/TREES/SPRINGS/WILDLIFE! RELAXING & READY! 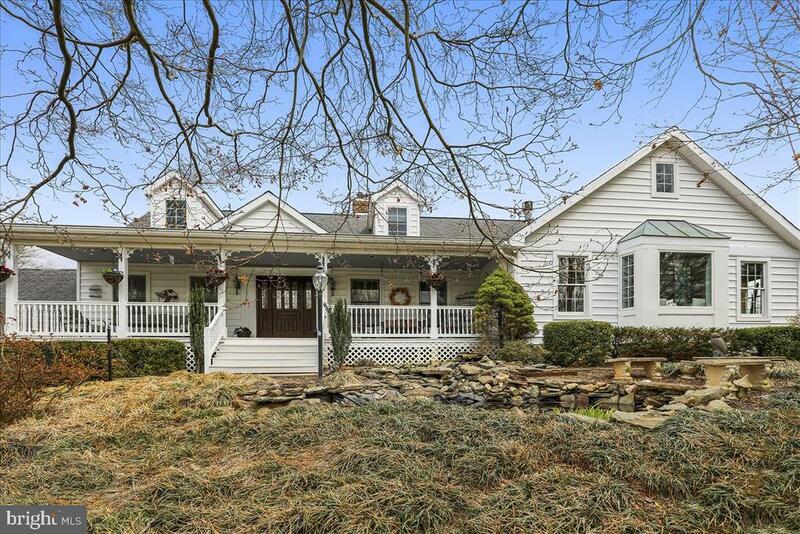 HOME BOASTS GLEAMING HARDWOOD FLRS THROUGH OUT, PARLOR-STYLE LR, LARGE 1ST FLR DEN/4TH BR, COUNTRY KIT W/ ISLAND, AMAZING GREAT RM W/ FIREPLACE & BREATHTAKING VIEWS, BEAUTIFUL PORCH, 50X30 BLDG, 7 STALL HORSE BARN W TACK RM, RUN IN BLDGS & MORE! A MUST SEE!" "All fresh & newly renovated throughout! Beautifully clean end-unit townhome in much sought-after community of Hoyles Mill Village ~ open floor plan, freshly painted, updated wood flooring on main level, Kitchen with new stainless steel appliances, granite countertops and island, Breakfast area opens to Family Room, new carpet on upper level, all baths renovated with new fixtures & tile, new Berber carpet in Basement ~ only needs final personal touches to make it yours!" "Beautiful end unit townhome in Summerfield Crossing, ready to move in! Enjoy being next to a courtyard and across from a park, no yard care necessary! The entrance level offers a bright room with windows facing the courtyard for whatever you need: den, library, guest room, or office and includes a powder room and laundry. Upstairs the light-filled main level welcomes you with cherry hardwood floors, floor to ceiling windows and a wonderful kitchen you will feel right at home preparing meals or entertaining guests. The living room offers a 3-way fireplace which is sure to please and a wonderful view of the park across the street! The second upper level contains the master bedroom with en-suite spa-like bath and walk-in closet, two comfortably-sized bedrooms and another full bath. 2 car side-load finished garage and parking pad for two in addition to visitor parking on the street. Clarksburg High School cluster. Close to the Milestone Shopping Center. Nice location for commuting or working from home." 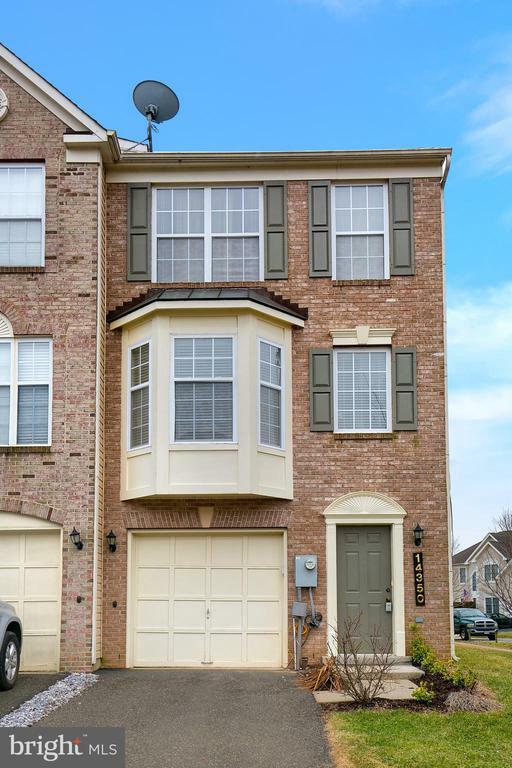 "Beautiful brick front end unit Townhome. New two level extension in the rear. Large remodeled kitchen with Quartz counter top and stainless steel appliances. Great space for entertaining. Full bathroom on the 1st floor and spacious recreational room/office. Master bedroom with master bath. Fenced backyard. Garage and private driveway. Shows pride in home ownership. Ready for the new owners. Turnkey property!"